Deputy Chief Justice Raymond Zondo dismissed an application by the Gupta brothers to cross-examine witnesses at the state capture commission of inquiry. An application by the Gupta brothers to cross-examine witnesses at the state capture inquiry has been dismissed while Duduzane Zuma’s application has been granted. 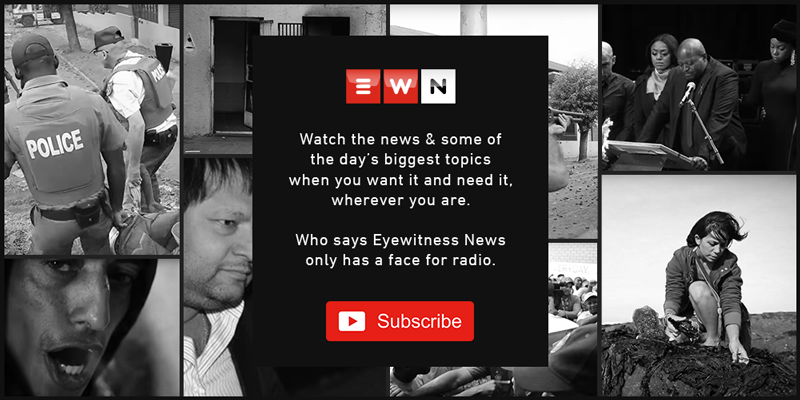 EWN reporter Gia Nicolaides gives the update. Vytjie Mentor is giving testimony at the State Capture Commission of Inquiry for the second day. The nephew of the Gupta brothers, is one of the accused in the Estina dairy farm fraud and corruption case. The 'Times of India' is on Thursday reporting that the family has been given seven days to comply with the order. The Times of India is reporting that the Gupta brothers have been given until next Monday to avail themselves or steps will be taken to secure their attendance. Home Affairs Minister Malusi Gigaba says that the problems at Eskom started in 2015 after he was already deployed to the Home Affairs Department. Members of Parliament have taken strong exception to letters sent by them to the committee, saying the people they plan to summon are undermining the work of Parliament. The Gupta brothers were scheduled to appear before the inquiry on Tuesday, but their lawyers say they are not in the country. Home Affairs Director-General Mkuseli Apleni says the issue regarding the Gupta’s naturalisation process discussed in Parliament only dealt with Ajay Gupta. Police Minister Fikile Mbalula assured the public that all matters related to corruption are being investigated. Eskom's suspended chief financial officer, Anoj Singh will kick-off testimony at the inquiry on Tuesday next week. The power utility's suspended head of legal, Suzanne Daniels, alleges Ben Martins was present at a meeting with Ajay Gupta and Duduzane Zuma in Melrose Arch this year. The law firm says taking on such a campaign is not a breach of ethics in itself, but adds management should've exercised extreme care, which they failed to do. Brown has now given the board until the end of business on Friday, saying she also wants particular documents about the utility’s business with Trillian. GuptaLeaks: How much do the Gupta brothers really earn? The Gupta leaks show that between 2011 and 2013, Sars accepted declarations from three Gupta brothers, stating that they earned personal income of R1 million or less a year.